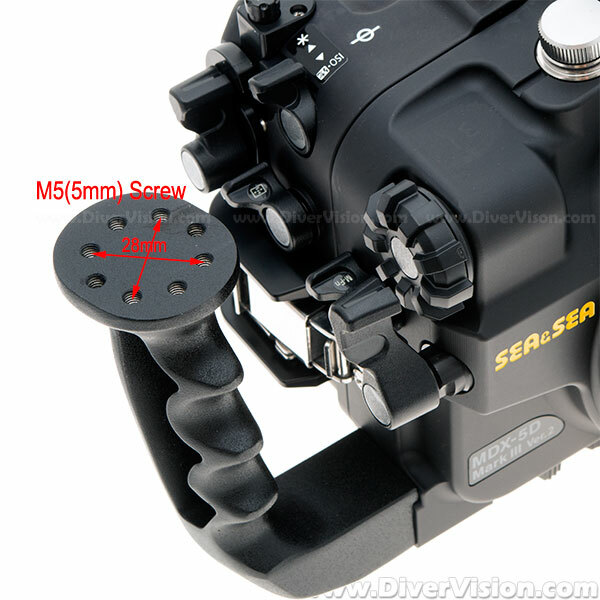 Compatible with new Optical YS Converter /C1(#50136) for MDX housing which converts the camera’s TTL signal to a light signal. Both TTL and manual strobe photography is possible using a Fiber Optic Cable II. 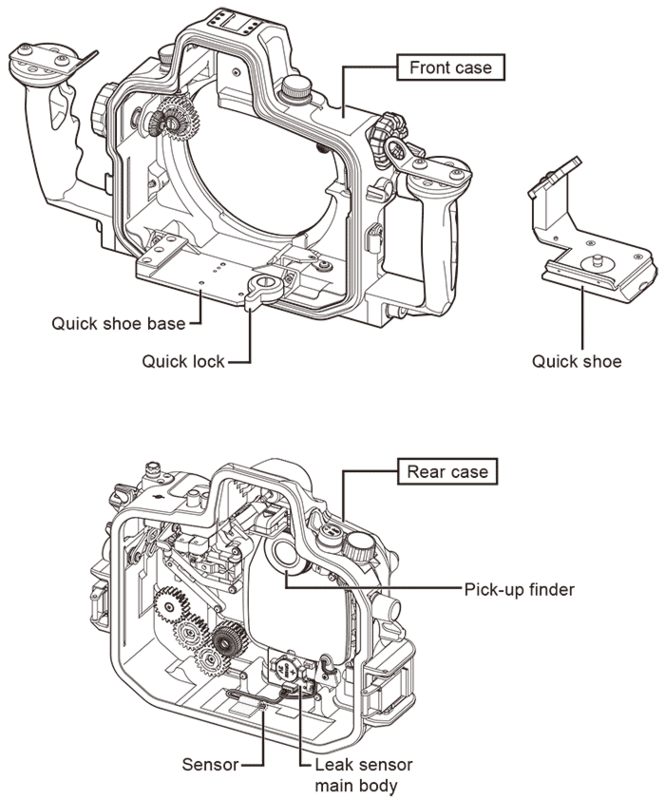 By attaching the VF180 #46112 or the VF45 prism viewfinders #46111 (magnification ratio of 1.2x) to the housing, the magnification increases by 1.2x and entire field of view can be seen at the same time. Recommended for users committed to strict composition and focusing. 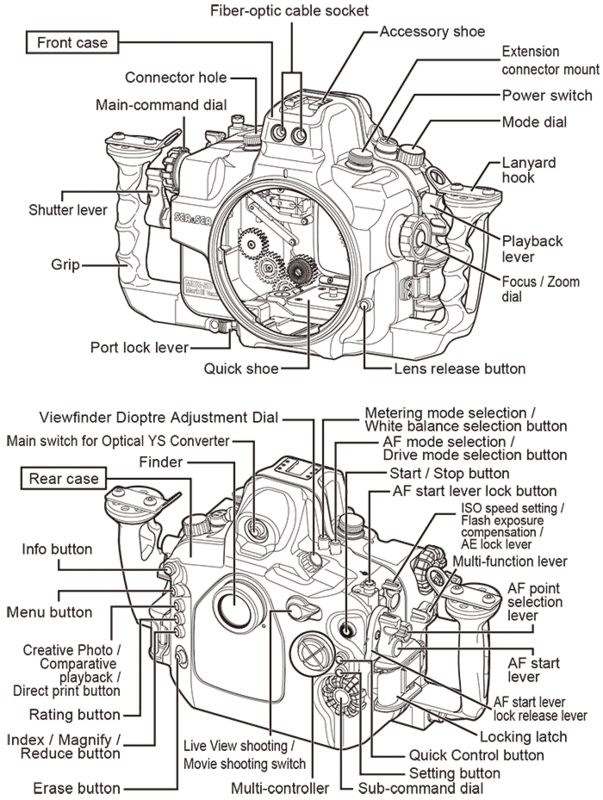 In addition to the standard controls, the AF Start lever may also be used for focus lock. Utilize the Focus Lock feature to allows yourself to concentrate on releasing the shutter at that crucial moment. 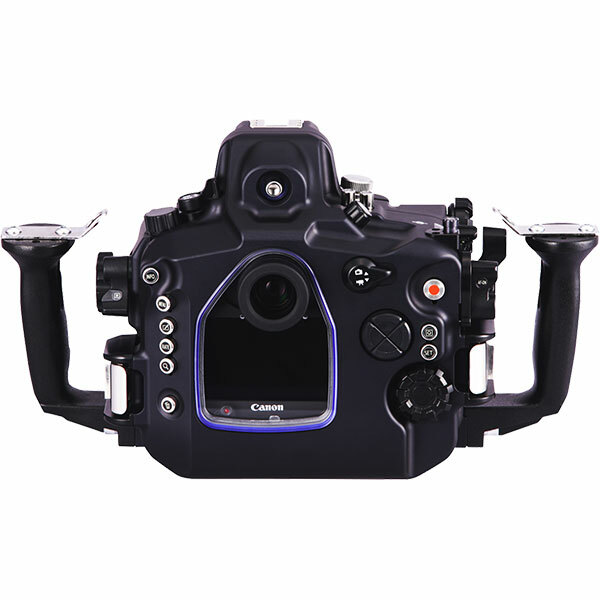 A new design for the shutter lever, the AF mode lever, the AF-ON lever, and the movie-record lever has improved the levers ergonomic shape. 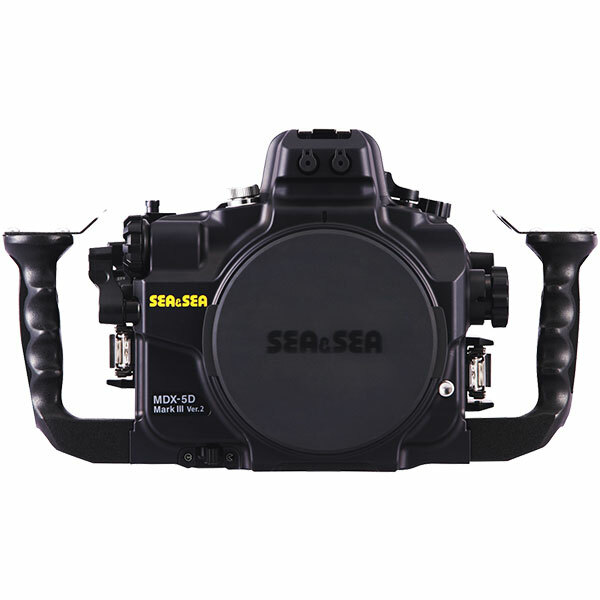 Equipped with one N-type (2-pin) connector and one accessory port.